Photos may not reflect standards, refer to current price list for exact Standards. (i.e. Legs, Nailheads, etc). I found a unique color leather in another store, but I did not like the furniture. I took the sample to Arizona leather and they were able to match it. It took awhile, but it was worth the wait. My... read more furniture is gorgeous! Caryl my sales rep was great, and kept me informed during the whole process. I highly recommend! Great products and professional staff! My wife and I were looking to replace our old couch. We went to Arizona Leather to see what they offered. Our salesperson, Lynn, was terrific to work with. She helped us pick a couch that would work perfectly... read more in our house. She even came to our house to make sure the couch would fit perfectly and the leather color would work. We received the couch yesterday and it's perfect. Lynn is awesome. The delivery people were terrific. This is actually our third purchase from Arizona Leather and we have been very pleased with each purchase. We are pleased with our new furniture from Arizona Leather. Gary and Mike at the Tempe store were both helpful. After researching leather furniture, I came to the conclusion that Arizona Leather represented good value in a quality product. The... read more selection of different leathers and colors is impressive, and the Tempe store had a nice selection of sample furniture to inspect. I anticipate our new furniture will last a long time, but will return if in the market for more leather. Beautiful, made in America, leather furniture! Appreciated the selection available and Gareth, the store manager is very helpful. Yes, we purchased a reclining sofa and chair today! We bought a couch and recliner from here today. We bought clearance pieces and were able to get the high end quality leather we were hoping for at a very reasonable price. Gareth was so patient with us... read more moving pieces around so I could see them together until I was satisfied. Almost disappointed the pieces will last us so long and we can’t pick new ones again soon! I have been buying products from Arizona Leather for the past 16 years and all of my transactions have been through Lynn. Not only am I getting quality furniture that has endured through the years but incredible service. Lynn has... read more always been prompt in returning my calls for delivery, service techs or information in a very timely manner. It has been such an enjoyable experience to walk into the store and know my furniture needs will be met satisfactorily. I always tell friends and relatives to start with Arizona Leather for any of their furnishing needs. Beautiful furniture, endless options, and extremely helpful staff! This was our 3rd time ordering furniture from Arizona Leather and we couldn’t be more pleased. This time we ordered custom coordinating pieces western style that turned out absolutely beautiful. 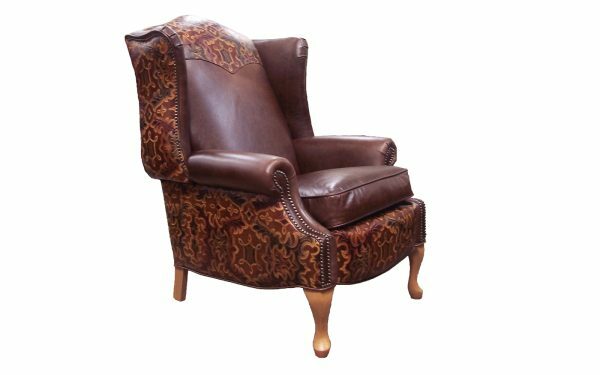 The workmanship was excellent as usual which is... read more why we keep coming back to Arizona Leather each time we want new furniture. Also, Lynn has been great to work with, always helpful and on top of things. We absolutely love the sofa, love seat and recliner-swivel chair we purchased for our new home. Excellent furniture and service. We looked all over for a sectional that was comfortable as we are both over 6' tall. After going to what seemed like every furniture store in the Phoenix area, we did not find anything we liked. Either... read more the sofas were the wrong style, fabric, or were not comfortable, so we were ready to give up. We walked into Arizona Leather and found exactly what we were looking for with the help of Lynn. She was super knowledgeable without being pushy. She went over all the options with us and offered suggestions. We finally decided on a beautiful leather sectional that is comfortable for tall people, durable, and placed the order. Lynn called and sent text messages about the order, letting us know the couch was being packed, shipped and delivered and made sure we were taken care of. We would highly recommend Lynn at Arizona Leather's Scottsdale location. Great service by Rachel and Savannah. They are knowledgeable and patient. We just ordered the furniture and excited for delivery. We had a great experience thanks to Gareth. The quality of furniture is excellent, and we purchase a beautiful leather couch. We won't go anywhere else when we need more furniture. Great customer service. They were able to answer all of our questions. . . . And there were a lot of them! They have a great selection and prices are right on the money for what you would expect for... read more very high quality furniture. We have purchased from this store in the past and know the quality of Arizona Leather. Staff is knowledgeable and courteous; totally professional. We like the product and the staff's pleasing personality made our visit quite enjoyable. And not surprisingly,... read more we found what we like! We will return. Excellent shopping experience and very happy with the new furniture. Anyone not happy with this place is probably someone that will not be happy regardless of experience. With over forty different leathers and over a hundred unique designs of leather furniture, you are guaranteed to find a style you'll love at Arizona Leather Interiors. © 2018 ARIZONA LEATHER. All rights reserved.